Natalie Duner and Melissa Mikulak work from the phone-booth style private areas in the Scientist.com office in Solana Beach. Photo by Jamie Scott Lytle. 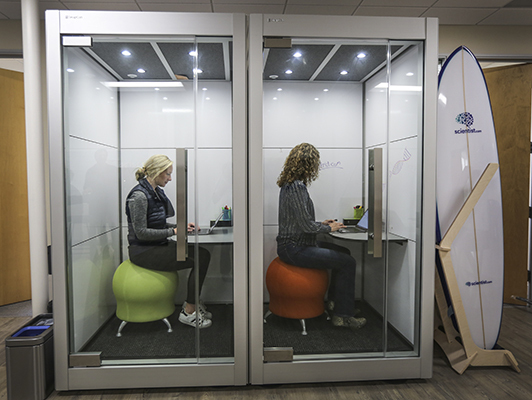 Natalie Duner and Melissa Mikulak work from the phone-booth style private areas in the Scientist.com office in Solana Beach.